Under the direction of the Medical Director, the Nurse Practitioner (FNP) is responsible for providing healthcare services to residents at Mayers Memorial Hospital Skilled Nursing Facility, focusing on health maintenance, disease prevention, patient education and counseling. The FNP works under a physician following established guidelines as required and within established scope of practice. This job description is intended to identify some of the primary duties and responsibilities. MAYERS MEMORIAL HOSPITAL DISTRICT reserves the right to modify, supplement, delete or augment the duties and responsibilities specified in this position description, at MAYERS MEMORIAL HOSPITAL DISTRICT'S sole and absolute discretion. 1. Current Registered Nurse license in the state of California. 2. Master's of Science in Nursing from an accredited Nurse Practitioner's program. 3. Registered with the Drug Enforcement Administration. 4. Certification with AANP or ANCC. 5. Must maintain licensure as an FNP. 6. 3+ years in a hospitalist or equivalent role preferred. 7. Current BLS and ACLS certification. 12. Maintains all information as confidential as appropriate, to include payroll, personnel information, and other information obtained during the course of performing job duties that is confidential. 1. Demonstrates the ability to perform physical exams on all patients. 2. Obtains and documents patient's medical history. Identifies health risk factors. 3. Demonstrates the ability to diagnose and treat common acute illnesses. 4. Demonstrates the ability to diagnose and treat chronic illnesses. 5. Performs all aspects of patient care in an environment that optimizes patient safety and reduces the likelihood of medical/ health care errors. 6. Demonstrates the ability to prescribe medications (see individual state laws) and non-pharmacological therapies based on the patient's diagnoses, health history and age. 7. Encourages positive health behaviors for the maintenance of health and rthe prevention of disease. This is done through education and counseling. 8. Always applies standardized care guidelines in clinical practice. 9. Provides patient and/or family with health education, counseling and referrals to other healthcare professionals and community resources within appropriate. 10. Assesses and documents patient and/or family psychosocial issues. 11. Treats patients and families with respect and dignity. 12. Collaborates with physicians and other members of the health team to plan optimal car for the patient. 13. Works with the patient and family and SNF staff to formulate a patient treatment and education plan. 14. Provides follow-up care, determines effectiveness of the treatment plan, reassesses and changes the plan as needed. 15. Documentation meets all standards and policies. Documentation includes all findings, interventions and results. Demonstrates competence in usage of EHR. 16. Maintains patient confidentiality at all times. 17. Functions as a patient advocate. 18. Demonstrates the ability to be flexible, organized and function under stressful situations. 19. Participates in performance improvement and continuous quality improvement (COI) activities. 20. Stays current with medical advancements, new technology, new drugs through continuing education classes, society meetings, professional journals, etc. 21. Follows the five medication rights and reduces the potential for medication errors. 22. The FNP will practice as part of a team under the direction of their supervising physician. 23. In depth knowledge of patient care clinical standards, systems, external regulations and internal policies. 24. Examines patients, performs comprehensive physical examinations, and compiles patient medical data, including health history and results of physical examination. 25. Administers or orders diagnostic tests, such as imaging studies, electrocardiogram, and laboratory tests, and interprets test results for deviations from normal. 26. Performs therapeutic procedures such as injections, immunizations, suturing and wound care, and managing infection. 27. Performs other department specific diagnostic or therapeutic procedures. 28. Develops and implements patient management plans, records progress notes, and assists in provision of continuity of care. 29. Instructs and counsels patients regarding compliance with prescribed therapeutic regimens, emotional problems of daily living, and health maintenance and other relevant patient education. 31. Rounds on inpatients and residents of the skilled nursing facility. 32. Performs admission evaluations on patients to include: obtaining basic medical information and history, reviewing patient's medical record, performing physical exam, documenting findings into patient medical record, and reporting deviations from normal findings to attending physician. 33. Reviews patient chart noting allergies, pertinent medical history, and abnormal physical findings. 34. Facilitates patient discharge; dictates discharge and transfer summaries in a timely manner. 35. Works efficiently to provide quality care in a skilled nursing setting such as examine patient to diagnose injuries and illnesses, provide treatment, and actively promote preventative care. 36. Communicates effectively with patients, physicians, nurses, therapists, social workers and other staff as necessary to assure proper diagnosis and treatment. 37. Obtains, compiles, and records patient medical data, including health history, progress notes and results of physical examination. 38. Ensures efficient and thorough documentation of visits as required per Medicare guidelines. 39. Signs care plans, gives nursing orders and PT orders, orders the use of appropriate medical equipment, and signs all required documents such as face-to-face encounter forms, plan of care forms, etc. 40. Attends all departmental, organizational and medical staff committee meetings as appropriate. 41. Assists with development and implementation of specific policies and procedures. 42. Uses best practices to deliver quality healthcare and to ensure patient safety. 43. 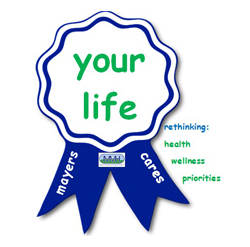 Complies with the medical staff bylaws of Mayers Memorial Hospital District. 2. Able to lift 35 lbs.